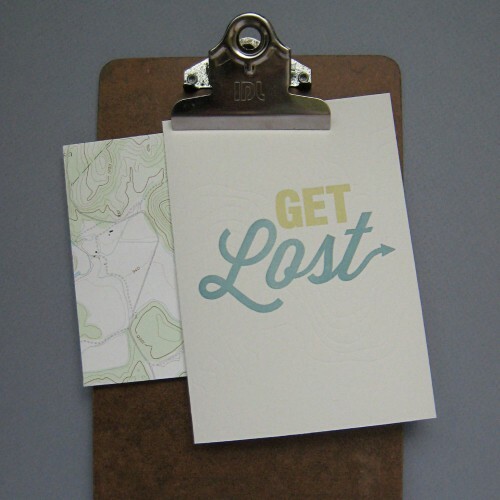 Another new item in my shop—the get lost letterpress card! I’m extra proud of all the fancy details in this card from the blind emboss on the front to the beautiful map envelope. Check it out in my shop. And I’m extending my holiday sale until Friday. Use the code HOLIDAY11 and get 20% everything in my shop! Happy Shopping! 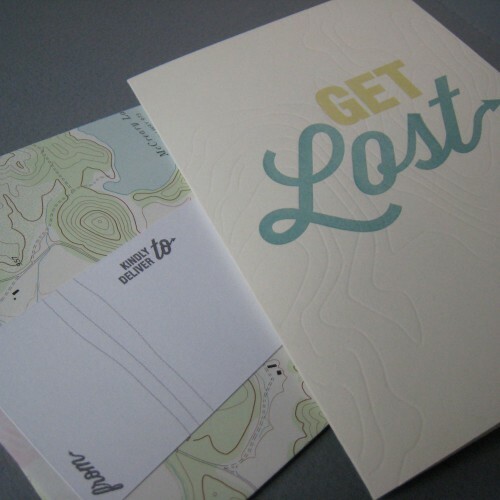 Tags: fancy seeing you here, fancyseeingyouhere, get lost letterpress card, letterpress card, map envelopes, sarah hanks, Sarah Hanks Ltd. This entry was posted on Tuesday, November 29th, 2011 at 12:11 pm	and is filed under handmade, letterpress, my shop, paper goods, personal designs. You can follow any responses to this entry through the RSS 2.0 feed. You can leave a response, or trackback from your own site.